It’s almost impossible to see with the naked eye, but every single day, your carpet absorbs hundreds of microscopic bacteria, dust, and dirt. Every time you step outside and come into your home, you leave behind dirt that attaches onto carpet fibers. If your carpets are not properly maintained, this could potentially lead to health hazards like allergies and asthma. 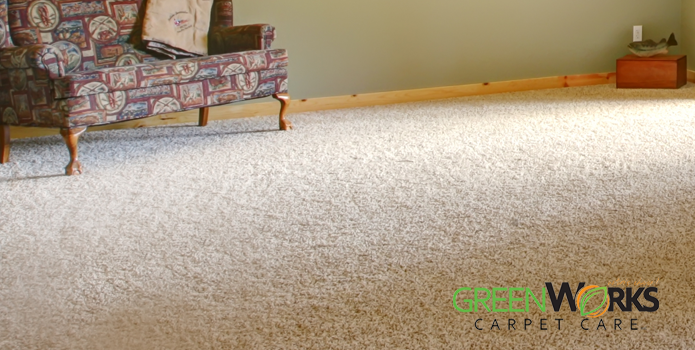 Even after a thorough and professional carpet cleaning session, you still need to work at maintaining the cleanliness of your carpets to keep them at their best condition possible. Here are some tips to keep your carpets well maintained in between regular carpet cleanings. 1. Vacuum heavy traffic areas at least twice a week. Heavy traffic and frequently used shared areas like the living room, den, and your kids’ play room should be vacuumed at least twice a week to maintain cleanliness and also to prevent dirt from completely imbedding itself into the carpet fibers. 2. Vacuum less frequently used areas at least once a week. Do not ignore less frequented areas in your home. They also need to be vacuumed, but you can keep it to once a week. 3. Use indoor and outdoor welcome mats. Since you can never entirely eliminate dirt, dust, and bacteria from being absorbed by your carpet, you can reduce the amount you bring into your home. Place heavy-duty dirt tracking mats like welcome mats right outside your doors. Before entering, always swipe your shoes onto the mat to catch accumulated dirt. Better yet, remove your shoes before entering your house. Advise the rest of the family and occupants to do the same. Every few months or so, replace your welcome mats to ensure effectiveness. 4. Clean spills and stains immediately. As soon as you see new spills and stains in your carpet, clean them out immediately. Don’t put it off until later or until your annual intensive carpet cleaning session. By that time, it’ll be more difficult to remove and might even turn into a permanent stain. Keep the necessary cleaning materials on hand like baking soda. Use a clean terry cloth and gently dab at liquid spills. Never scrub vigorously, as this action will only force the stain to sink deeper into the carpet and spread. Avoid applying harsh chemical cleaners as these can cause discoloration or even permanent stains. 5. Remove unpleasant odours using baking soda. Sometimes when you have pets, they leave behind unpleasant odours. Some kinds of food or liquid spills also leave behind strong odours. Sprinkle baking soda onto the smelly area and leave for an hour or even an entire day if possible. Simply vacuum afterwards and voila, the nasty smell is instantly gone. Being mindful of and practicing carpet maintenance is a must not only to maintain cleanliness, but also to keep your carpets in tip-top shape and eventually, save you from further problems when it’s finally time for your annual intensive carpet cleaning. 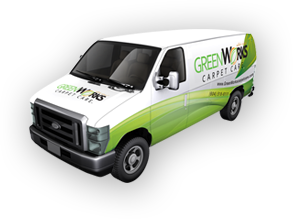 Professional carpet cleaning is recommended every eight to twelve months.